Why you are calling your BIOS setup as CMOS setup and the Lithium battery on your computer motherboard as CMOS battery ? 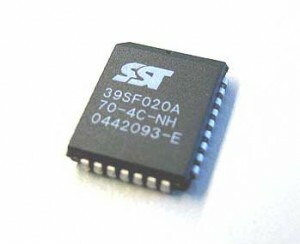 Back in the days of initial IBM PC and PC-XTs your computer has ICs made up of transistor-transistor Logic ( TTL ). The power consumption of a typical TTL circuit is high but back in those days we do not have much choice because the newly invented low power product named CMOS-FET ( complementary metal oxide semi conductor field effect transistors) where exorbitantly costly . As we stated earlier the power consumption of a typical TTL circuit is not a big issue for early days of computing because they are operating from mains power and concepts of green computing is still to be invented. So the motherbaord manufacturers used TTL based ICs , but there was an area in your motherbaord where they are forced to insert the high cost CMOS technology chip. Your BIOS chip. As we normally know BIOS contains a set of routines needed for the elementary functionality of your system and is a firmware stored on a Read only memory. But part of your BIOS-ROM chip contains a RAM area which hold the variable parts of your system configuration such as time , date , hard disk , boot sequences and so on . Since RAMs are volatile , we need a battery to keep the contents when the power goes off. So even if the CMOS technology was costly ,the manufactures were forced to use it for the BIOS chip because they need a low power consumption solution which will ensure longer battery life. During course of time people begin to call the BIOS setup program as the CMOS setup program and the lithium battery that powers it as the CMOS battery. These terms does not hold any significance now a days because most your ICs on your motherboard uses the CMOS technology and the term is not specifically applicable to your BIOS only . Still we prefer to call the BIOS setup as CMOS setup . no issues , but be aware that the term CMOS has more to do with the manufacturing process than the BIOS setup software.